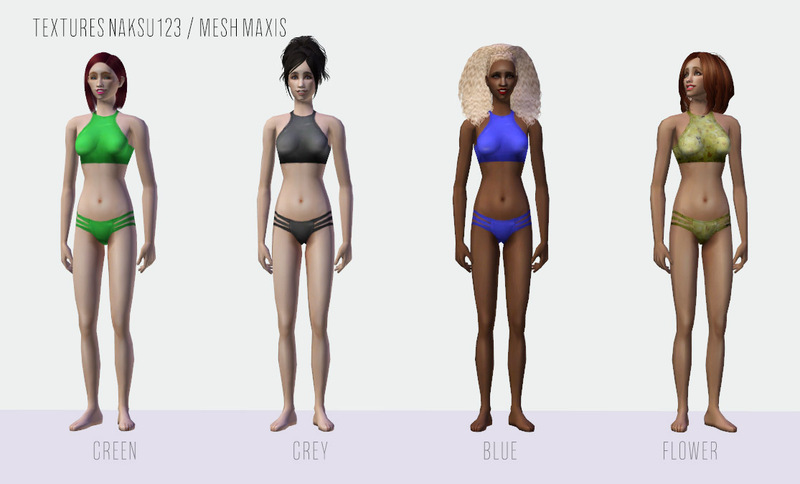 Mod The Sims - Summer bikinis for your AF sims! Swimwear for your female Sims. They automatically change into this outfit when they go swim in a pool or jump in the hottub. It has been long time since I created anything for TS2, but now I had some time to make these bikinis. I hope you like them. 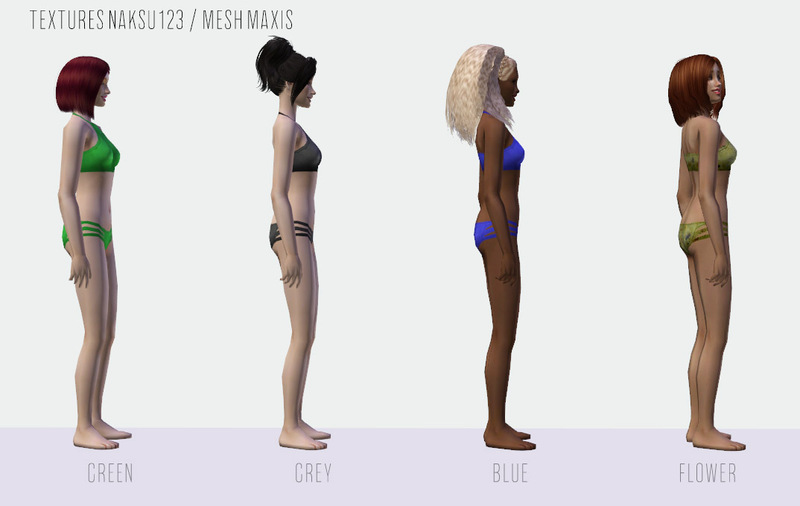 MESH used here is Maxis base game mesh from swimwear category. And as said these are for adult female, maybe in the future I have time to create these for teens as well. Maybe. Patterns used in two bikinis are Photoshop's default patterns, I was feeling bit lazy and I thought that they fit nicely as a bikini pattern. Otherwise the textures are from my hand. That's about all, have a great summer! Outerwear for children "Snowflake" and "Little Cutie"